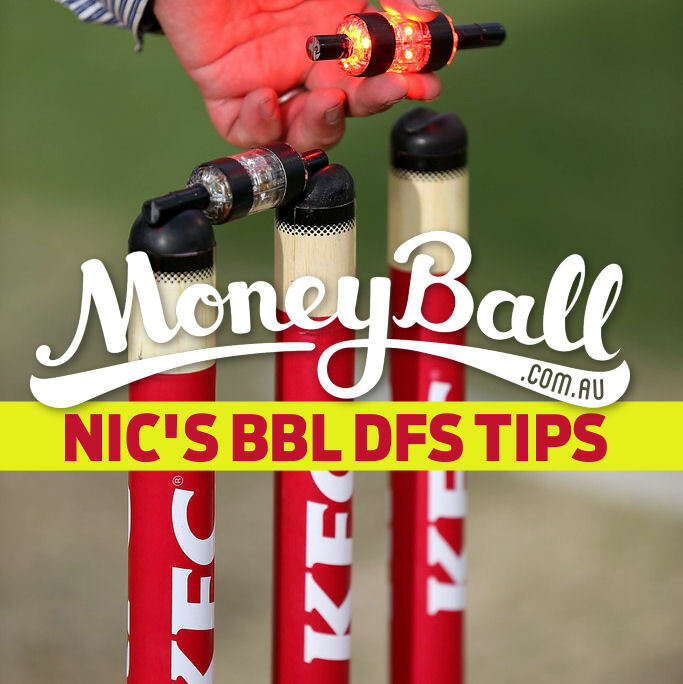 Tonight’s BBL showdown between two teams looking to secure their place in the top four provides one of the most intriguing Moneyball match-ups of the tournament. Both teams have lost players to international duties and this means a lot of the go-to options are gone. You’re going to have to get creative to score this week’s $5,000 prize! Let’s break it down. Klinger is the only batsman in this game worth more than $5,000 which essentially means he’s the only one you can have any assurance in. He’s only averaging 23 runs so far in the tournament, but he has a high score of 83 to his name and given he’s a veteran batsman who will open the batting, he’s still a strong option and really, you have slim pickings in this game. Weatherald has not had a good tournament to date. He’s an opening batsman averaging 11 runs and has a high score of 20. The last time these two teams played, he scored one run. 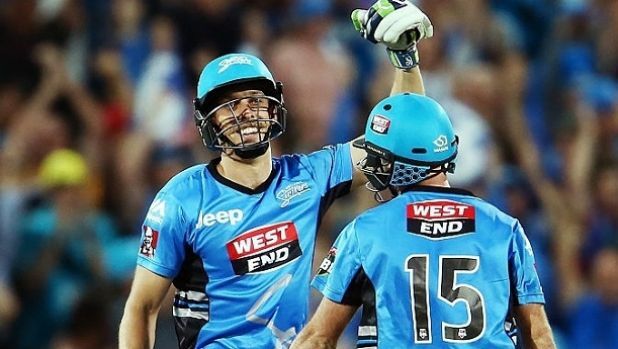 There is no logical reason to pick him except that he’s still opening the batting, the Scorchers’ bowling attack is down to its bare bones and he’s great value at that price. Logic says don’t touch him but again, there just aren’t many players to choose from in this game. Lehmann also only made two runs the last time these teams met, but he was batting at six and got run out. With Travis Head out, Lehmann should bat a little higher in the order and we all know he has the talent to dominate a game if he gets the time in the middle. He’s ridiculously cheap and should easily improve on his average of 16 so far in this tournament. Avoid: Tim David ($3,500): Even if David makes the Scorchers’ final 11, he’ll probably end up as a specialist fielder batting deep in the order. Smoky: Jono Dean ($3,000): Dean is expected to come into this side replacing Head, but his value will be determined by his position in the batting order. You have two solid options here and while you may immediately lean towards the Australian test opener, Carey has been arguably the best wicketkeeper so far in the tournament. Only Cam White, D’Arcy Short and Shane Watson have scored more runs in BBL|07 than Carey and there’s no reason not to expect him to continue maintaining his average of 56. 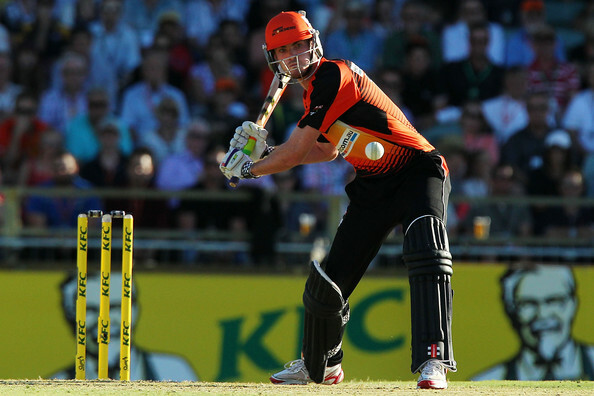 Bancroft meanwhile made his BBL return in the last game and had an immediate impact, scoring 75. Carey has done it for longer though and that’s what makes him the better option here. Yeah, I don’t know why Ingram is listed as an all-rounder either. He’s bowled two overs total for the tournament and hasn’t taken a wicket. If he was listed as a batsman, he’d be almost the first player picked in your team given the limited options, but given here he’ll cost you an all-rounder slot, he’s probably not worth it on his batting alone. He’s averaged 36 so far in the tournament and hasn’t set the competition on fire like an international batsman probably should. He might make a good flex option though. Turner has been the Scorchers’ best batsman this season by a wide margin and unlike Ingram, is certainly someone you could pick for his batting alone. He’s averaging 40 runs at a strike rate of 164 batting deep in the middle order. On top of that, he made an unbeaten 44 the last time these teams met. He is yet to bowl in the tournament however which means he’s also not really an all-rounder. Despite that, he’s still the clear best option in this position. Cartwright continues to provide fantastic Moneyball value at $3,000. He’s averaging 29 runs for the tournament and you’d absolutely take that given his pricing. Again, he’s not really a great all-rounder option given he’s bowled one over for the tournament, but if you’re wanting to save money for other spots, he’s a fantastic option. Though given the lack of expensive players available tonight, you might want to consider Michael Neser ($5,700) who’s averaging 53 with the bat from three innings and has taken eight wickets. Mitchell Johnson has taken seven wickets for the tournament and only conceded 5.71 runs per over. At 36 years old and with Andrew Tye no longer around, Mitch may be the best fast bowler in this tournament. Just pick him. Laughlin sits behind only Tye and Dwayne Bravo for wickets taken in the tournament and continues to quietly go about being one of the best T20 bowlers in Australia. Rashid Khan ($7,300) sits equal with Laughlin on 11 wickets and both make for great options in tonight’s game. He’s a consistent performer who is usually good for a wicket or two and decent economy rate. All of the value is in the bowling category tonight and this is where you should be using the majority of your salary cap. Siddle wasn’t someone who seemed like he’d adjust to T20 bowling, but he’s been incredibly economical so far, only conceding 5.7 runs per over. He’s only taken the five wickets, but he’s shown his value in this format of the game and is someone you can now safely pick for your team. Smoky: Matthew Kelly ($3,500): Kelly looked ridiculously good on debut considering he was the Scorchers’ NINTH fast bowling option. He took a wicket and only went at eight runs per over.